Hoozing will be exhibiting among Asia-Pacific’s best startups at Echelon Asia Summit 2016 as a representative of Vietnam. 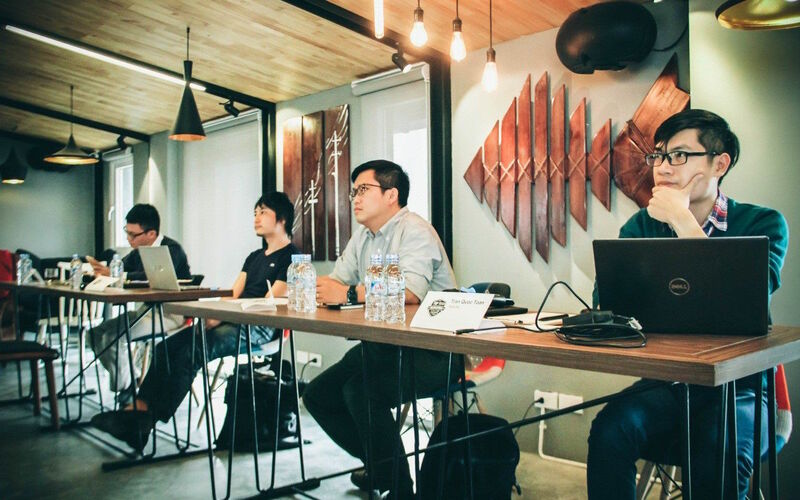 In the tech-talented scene of Hanoi Vietnam, e27 hosted its TOP100 Vietnam Qualifiers at the Appota building. With the help of innovation partner Hub.It and Appota staff, six hungry startups pitched to compete for the SGD$500 cash prize and a booth package at Echelon Asia Summit 2016. Each startup was given three minutes to pitch and five minutes for Q&A. Hoozing emerged victorious, winning the Judges’ Choices Award, even with the rigorous questions given by the judges. Hai Le and Akshay Sharma co-founded Hoozing, an online marketplace for searching and renting long term accommodations aiming at making house renting accessible, hassle-free and trustful for everyone. 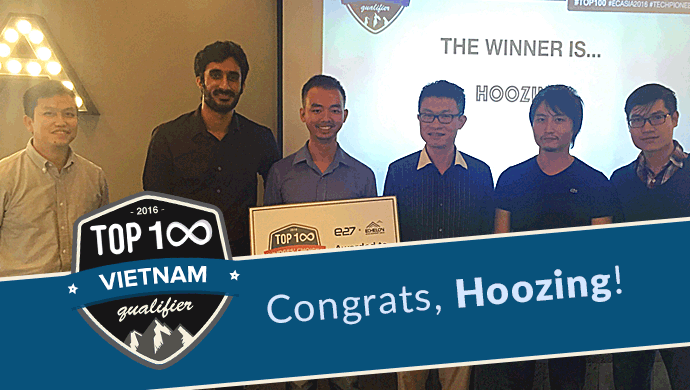 With over more than 500 rental spaces for their customers across Ho Chi Minh City, Hoozing’s traction in partnerships is undeniable. Overall, Hoozing presented a clear customer pain point present to the expat market in Vietnam. The Hoozing team explained how fraudulent certain real estate posts were, and how with their curated matching system, will be able to find a suitable space for their renters while earning money for the lessees. Scores from all 14 city qualifiers will be tabulated to determine the ultimate TOP100, who will showcase their innovations amongst the region’s best at Echelon Asia Summit. Grab your tickets now to catch all 100 startups live!